Armour Bikes from the Ukraine has some new products. 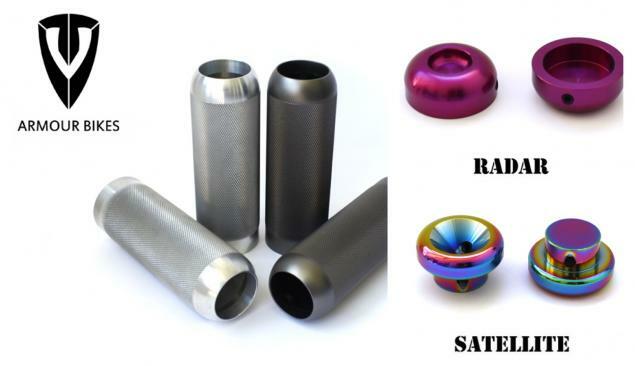 The Calibre pegs and two types of bar ends (called Radar and Satellite) are already available. They are all made of 6061-T6 aluminum and you can get the bar ends with oil slick paint which looks pretty good. Check the deals on their Facebook page if you are interested.